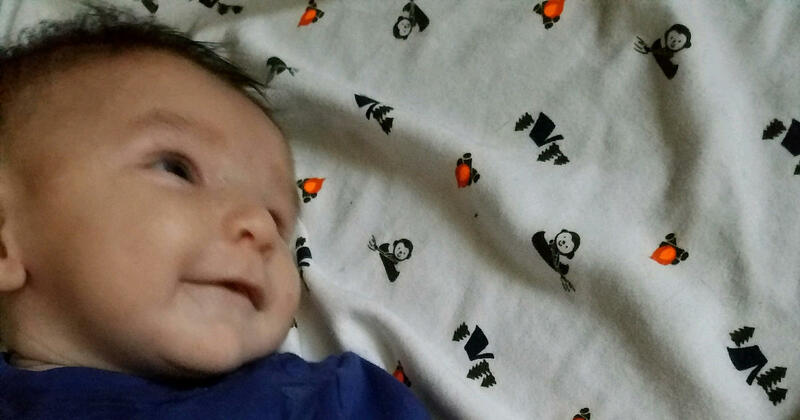 MOUNT PLEASANT, IOWA -- The trial of an Iowa father, whose 4-month-old son was found dead in a baby swing last year, is now underway. Assistant attorney general Coleman McAllister told jurors the baby, Sterling Koehn, died after being in the same maggot-infested diaper for nine to 14 days when medics were called to the apartment, reports the Waterloo-Cedar Falls Courier. "He died of diaper rash. That's right, diaper rash," McAllister said during opening statements on Tuesday. The baby's father, Zachary Koehn, is charged with murder and child endangerment. "He directly caused Sterling's death," McAllister said. The boy's mother, Cheyanne Harris, faces a separate trial on the same charges. In opening statements, Koehn's attorney said the baby's death was a tragedy, but not a crime. A coroner's report showed the baby died of malnutrition, dehydration and the infection. A criminal complaint obtained by WHO-TV last year shows an autopsy by the State Medical Examiner's Office found the infant measured well below the fifth percentile in size and weight for the child's age. EMTs arrived at the apartment on August 30, 2017 after Koehn called 911 to report the child was dead. Toni Friedrich, the first to arrive, testified that Koehn showed no emotion when he led her to the dark, hot bedroom where the baby's body was, according to the Courier. "His eyes were open, and it was a blank stare," Friedrich said in court. "This isn't right. This is not a baby who I can do CPR on," she added. Friedrich also testified that when she touched the baby's chest, his clothing was crusty. When she moved his blanket, gnats flew up, she says.